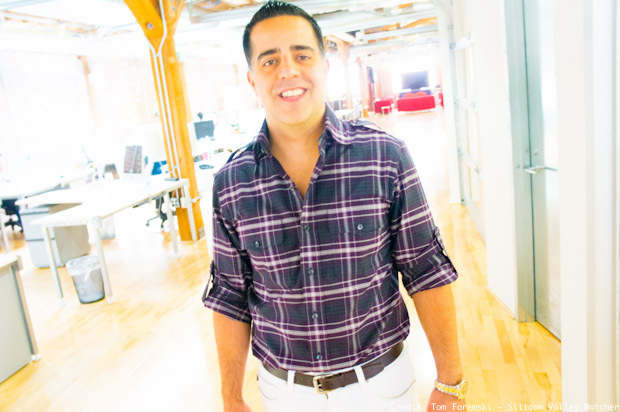 The future looks bright for Peyman Nilforoush, CEO of inPowered. InPowered this week announced that its news story promotion service for large brands would not charge for clicks but only for engagement by readers. The company is fighting against a massive flood of click-bait, fraudulent clicks and shadowy promotional tactics with its policy of only charging customers for engagement. Companies such as Outbrain and Taboola also offer services to promote stories, but there is an important difference with inPowered's approach: brands cannot change the headline of a story or use images to drive attention. "You can't use click-bait to lure readers, and no bikinis!" says Peyman Nilforoush, CEO and cofounder. His brother Pirouz Nilforoush, President and co-founder, says, "Click-bait is killing the web, people are being turned off. We want true engagement with stories from trusted writers who know their areas of expertise because that is what drives purchases." Inpowered searches hundreds of thousands of sites for news and feature stories. Customers choose a set of stories they would like to promote via inPowered's links to major advertising networks. InPowered's technology can tell how long a reader spends looking at a story, if they read below the fold, and if they share that story. It can then follow that shared link across the web to count further engagement. The stories that generate high reader engagement are prioritized by the algorithm — adding further to the audience of engaged readers while driving traffic to quality media sites. And it will only allow corporations to promote stories that are written by credible journalists. Its algorithm tracks each writer's expertise and history to determine who are the best experts in their fields. InPowered has commissioned research that show readers engage with content from trusted sources and that click-bait, or content created for promotional purposes, fares badly. For this reason inPowered does not like "native advertising," promotional content designed to look as if it is written by a credible publication such the New York Times. Instead of creating favorable content at great expense, corporations can use inPowered to find the most credible media sources, identify the stories about their products or services that are getting the most engagement, and then give those stories a boost on the web. It's a far better "native ad" because it advertises a great story written by an independent writer. Foremski's Take: InPowered's approach is bold and prescient. Clicks are becoming worthless as a metric of how content is perceived by readers. Engagement, in the form of someone reading a story or sharing it within their network, is the only true engagement. It is refreshing to see a company in the advertising business taking such bold moves to protect, and to promote, news stories from trusted sources. Its service drives engagement — which brands love. But it also drives new audiences to publishers employing real journalists rather than content produced by "brand journalists," which are disguised marketers. Corporations can try to promote favorable stories produced by their marketing departments but if there is little or no engagement by readers, inPowered's bid process requires ever higher payments to promote those stories. Its algorithm prioritizes the most engaging stories, which turn out to be those from trusted sources. Ad budgets are spent only on the most engaging stories. It can thus guarantee true engagement with stories written by independent third-parties with no connection to brand marketing. I'm very interested in inPowered because of its commitment to quality content and quality journalism. It is incredibly rare in this business, only Centro, the Chicago-based ad technology company, has a similar commitment to quality journalism. I recommend keeping a close eye on what inPowered does in the future. Its technologies might very hold an important key in helping publishers make money from mobile news feeds, which are currently very difficult to monetize because of small screens and very low ad rates.